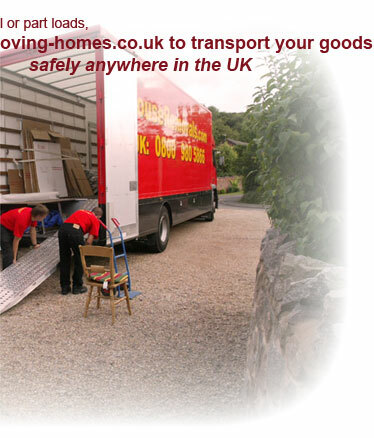 Moving-homes.co.uk offers a removal service all over the UK. We offer both a private removals and a trade removals service. Moving-homes.co.uk is recognised by the trade as one of the leading specialists in the UK for door-to-door removals, with more than 30 years' experience. Either full or part loads, you can trust Moving-homes.co.uk to transport your goods safely anywhere in the UK.